Reasons to Hire a Professional Auction Company for an Estate Sale | Wilson Auction & Realty Co, Ltd.
Holding an estate sale can be a really complicated process. Whether you are holding one for a loved one who recently passed away or holding one for yourself due to an unexpected move, it can be difficult to sell everything within an estate quickly, and it can be even more difficult to do it when you’re trying to get top dollar for your items. Fortunately, you can make the whole process relatively painless by teaming up with a professional auction company. A professional auction company can come in and handle everything pertaining to your estate sale and help you turn a profit while doing it. Here are some reasons you should consider hiring an auction company the next time you need to hold an estate sale. Your estate sale will start and end quicker than if you tried holding it yourself. When you hold an estate sale on your own, you are in charge of doing everything. From promoting the sale to negotiating with buyers, you have to handle all of the different aspects of it. This means that it can take days, weeks, and sometimes even months to finish the sale. That won’t be the case when you work with a professional auction company. The company will come in, arrange for the auction to be held on a certain day and time, and then finish the auction in just one day. Your estate sale will receive the marketing it needs. Speaking of promoting your sale, it can be difficult to get the word out about your estate sale when you’re doing it alone. Sure, you can hang up signs in your neighborhood or even take out an ad in the local newspaper. Nevertheless, that can be time-consuming and just one more thing you need to worry about while preparing for your sale. 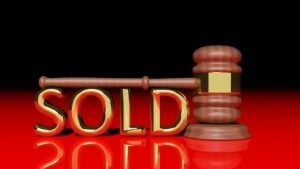 A professional auction company will handle all the marketing of your sale when you agree to work with them. They will make sure people know about your estate sale and get people to show up in droves. Your estate sale will generate competitive bids from interested buyers. When a large number of people show up for an estate sale, it will obviously help you make more money. Those people will compete amongst themselves for the right to buy whatever it is you’re selling. By bringing people out to your estate sale, a professional auction company will help you generate more money for your items. The competition that takes place at an auction will help you financially. Are you thinking about using a professional auction company for your estate sale? Wilson Auction & Realty would love to help. We have the experience and knowledge it takes to hold a successful auction and bring interested buyers to your sale. Call us at 419-636-5500 today to see why so many people have trusted us with their estate sales in the past.